Hungry for some snack or merienda today? Perfect!, I got a scrumptious recipe for you to try at home. As you all know me, I love sweets, and who doesn't? Especially if it is made from scratch just like how I remembered it back home. 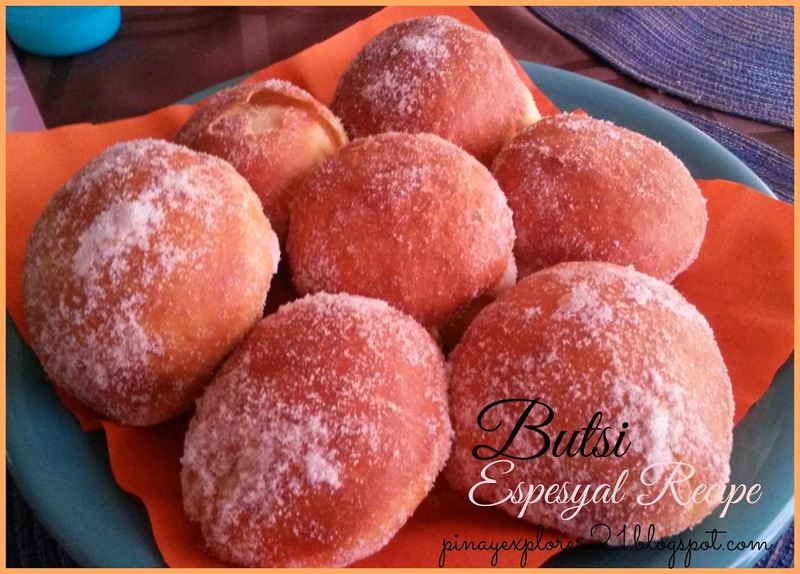 Do you remember my post from last year of Butsi Recipe? I can't get enough of this classic merienda that I dearly love. It's not only its my favorite merienda growing up, It also remind me of my grandma, she made butsi all the time, that's were I learned how to make them. Thank you, Grandma! :) Anyways, the recipe from previous post is no different this time. The only thing that I change is the size of the Butsi, that's all! I love making little butsi but I found it easier to fry when they are little larger and less time spent in the kitchen as well. 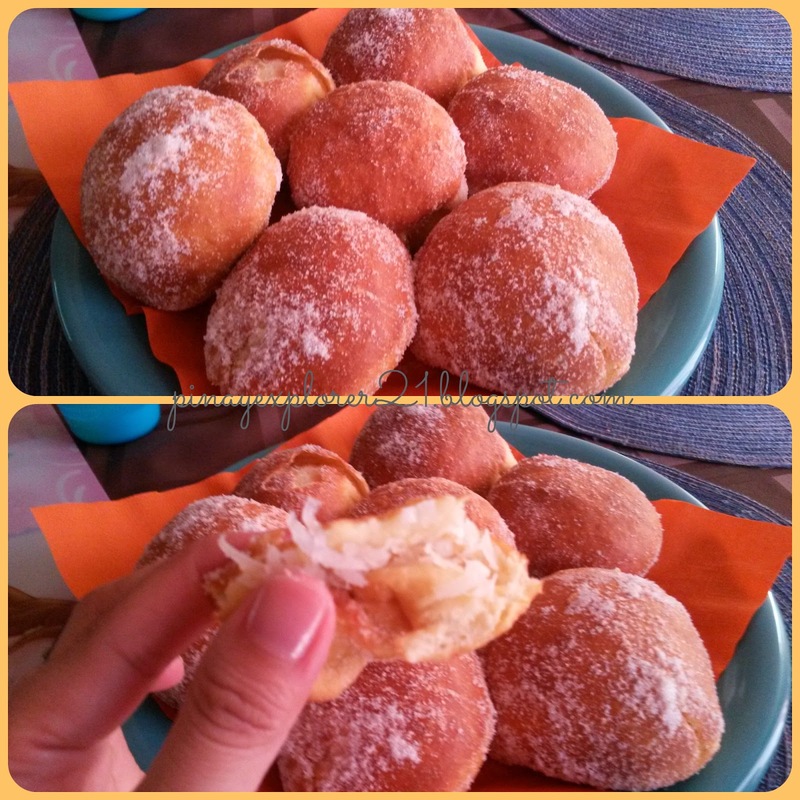 We call it Butsi-( Butsi with sweet coconut filling inside and coated with granulated sugar) back home especially in Mindanao area where this sweet treat is very popular. There is also Butchi with sweet monggo filling rolled into a sesame seeds which you can get at( Chowking) famous fast food chain in the Philippines. I love those kind of Butchi too. They are different in terms of ingredients but both are equally delicious. * NOTE: Flip the Butsi ONE to avoid greasy butsi. Stay close to the fryer, because it cook FAST! 1.) In large bowl combine the flour, salt, sugar, yeast and chopped butter. Mix until well combined. 2.) Add the lukewarm water and egg and mix it well. 3.) Knead the dough into clean surface until it become elastic. Let the dough rise 1-2 hours. 4.) Divide the dough into 8 parts. Form the dough into balls, flatten it out using rolling pin. Add as much coconut filling as you want as long as it close tightly for frying. Repeat the process until everything is done. 6.) Fry the butsi in medium low for about 2-3 minutes on each side. Make sure that its cook all the way before turning it over. Drop this cuties into granulated sugar for coating. YUM! 7.) DONE! Serve it hot or cold along with your favorite drink and let your friends come over. In large bowl combine flour, sugar, yeast, salt and butter. Mix well until everything incorporated. 4.) Divide the dough into 20 pieces. Start forming the dough into little balls, flatten it out using the rolling pin, and fill the coconut filling. Do this process until everything is done. - Put this 2 ingredients in a food processor, pause for couple minutes. Set aside. Oh wow this makes me sweet tooth very very intrigued lol!! This looks amazing!! This is kinda like my to go merienda, its either this or the shakoy, hehehe. Nakakamiss sa province no, I missed those days din with my grandma, She also sell butsi and I always get my share all the time and its always good..:) Hope you enjoy the recipe as much as I do:) Thanks! Instead of using glutinous rice flour, you used all-purpose flour. Parang Munchkins lang ng DD. Butsi with a twist. Easy lang pala ha. Daddy must cook this. Hehe. We can easily buy this from the bakery. I guess when you live abroad, you have to make this from scratch. Good job! Wait for me I'm going to your place right now.. hehehe.. I believe in your promise that this is delicious. But, actually, I had something else in mind, when you said butsi... maybe I was thinking of the Chinese buchi! I love this! I'm usually more familiar with the ones from Chowking but this one looks yummy too! 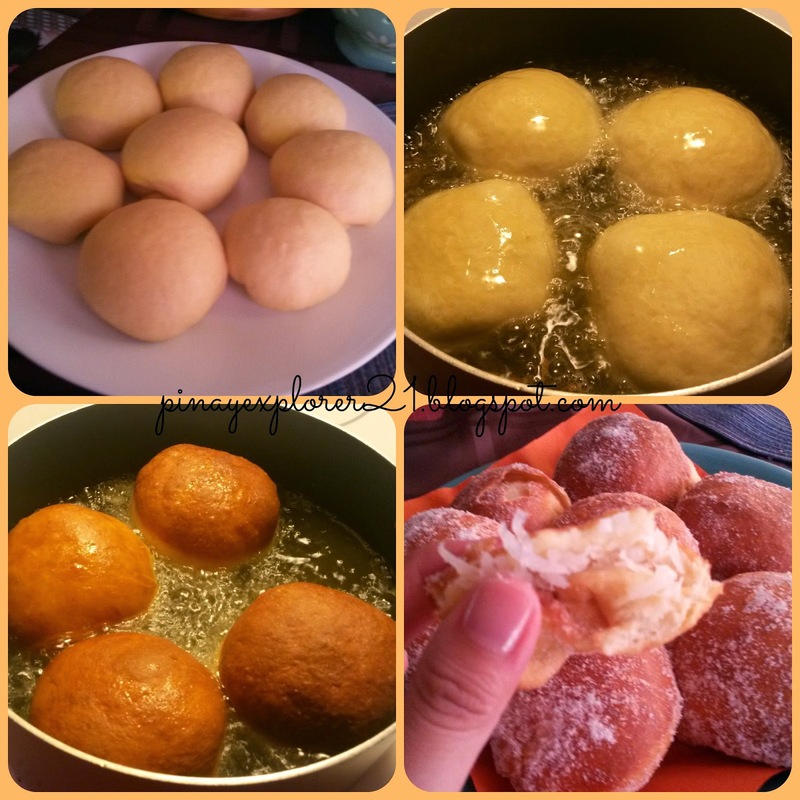 Filipino donuts! One of my most favorite meriendas back when I was in grade school! I didn't realize that this is deep fried! Kala ko baked... must be really special because it has coconut filling! Heheheh baka nga meron, masarap din yung bananaque sis:) Thanks! similar to pan de coco, but fried not baked. thanks for sharing! Hahha that's good idea Sis:) thanks! Yes, I would love to come and grab some! Soo delicious.. Diet mode pa naman ako haha!